Combine the almonds, sunflower seeds and sea salt in a food processor or high speed blender and mix until nuts are chopped smooth. Add the medjool dates, matcha powder, almond flour, and maple syrup and mix until well blended. Place parchment paper on a plate of cookie sheet. Place on the parchment paper. Before rolling the balls in shredded coconut, wash your hands. They will be sticky! 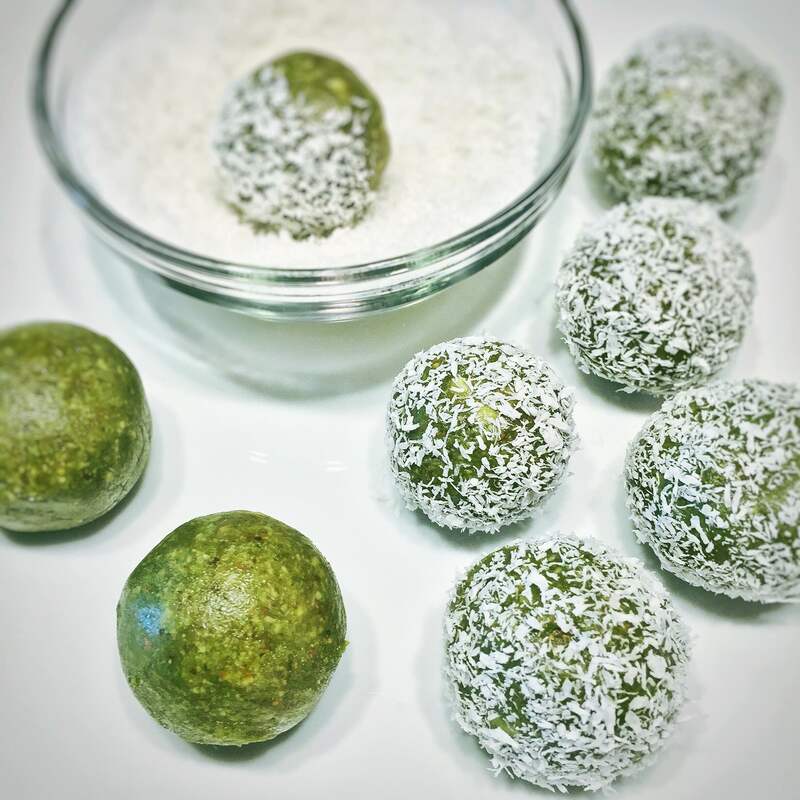 Take each ball and roll it around in the shredded coconut and place on the parchment paper. Place the cookie sheet into the fridge to set or the freezer if you’re not traveling with them immediately after. * For taking them on a hike, packed in a school lunch or just out and about on the town, pop them in the freezer overnight so they take longer to soften. When placed in an air tight container, they can keep in the fridge for a week and freezer for two…if they even last that long!